This book aims at exploring the link between corporate and organizational culture, public and private policy, leadership and managerial skills or attitudes, and the successful implementation of work-related healthcare in Europe. 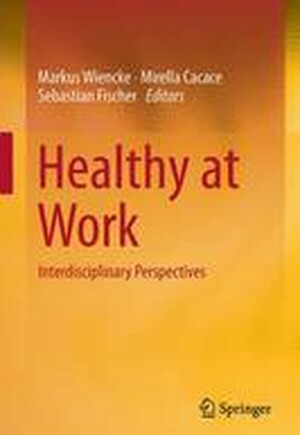 Therefore it brings together a wide range of empirical and theoretical contributions from occupational health, management, psychology, economics, and (organizational) sociology to address the question of how to sustainably promote occupational health. Such important questions are answered as: What aspects of a corporate culture can be associated with health issues? How does leadership style affect the health of employees? How are health-related decisions in the workplace affected by the political environment? To what extent are interventions influenced by corporate culture, leadership and public policy? How can we make such interventions sustainable? Organizational Culture and Occupational Health.- The Importance of Leadership for Occupational Health.- Public and Private Policies Promoting Occupational Health.- Evidence-Based Studies and Interventions Promoting Occupational Health.